Matthew Dunne was away on business when the war started. He manages to escape the turmoil and find his way back home after a three-month journey. When he gets there, he discovers that the house where he was living with his girlfriend, Jen, is now occupied by four other people along with Jen. These individuals were sent to live there as housing is at a premium inside the city, which is now a giant refugee camp. The world has been turned upside down, and a savage war is being fought all around. It’s the Haters against the Unchanged. The Haters, as their name implies, hate everyone, and their only objective is to kill anyone who is not one of them. As such, they have turned the whole countryside into a massive killing field. Those lucky enough to escape have found their way to the camp. 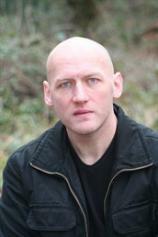 "David Moody’s story is a good one, as there is plenty of action and conflict.... If you’re looking for a novel that provides lots of food for thought, I highly recommend this one." Matt is a survivor and is determined to keep Jen safe. In order to do so, he must find a way to provide food for everyone in the house on a daily basis. This is a tedious job, but a necessary one. However, there is more to this conflict than meets the eye. Through careful observation, Matt realizes that other things are going on in and around the camp. He feels compelled to learn what they are, even if it means putting himself in harm’s way. What he discovers forces him to make some difficult choices. David Moody’s story is a good one, as there is plenty of action and conflict. But this is a sequel to ONE OF US WILL BE DEAD BY MORNING, which I did not read. So I kept wondering when the author was going to provide some kind of backstory for newcomers about what caused the conflict in the first place and why some people ended up as Haters and others were Unchanged. What exactly happened? When and how did it happen? Those questions were never answered, which I found to be a bit frustrating as I wanted to know what was going on. 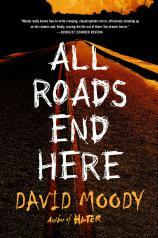 ALL ROADS END HERE has an unexpected ending that I enjoyed. If you’re looking for a novel that provides lots of food for thought, I highly recommend this one. However, it would serve you well to read the prequel first so you can fully understand and appreciate all that happens in this second Final War installment.